Catholic Education Early Learning Centres provide preschool education for children who turn 4 years of age by 30th April of the year of enrolment. 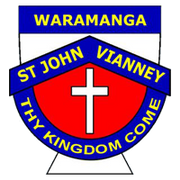 For the families in the Weston Creek and Molonglo area which incorporates the Catholic Parish of St John Vianney's and St Jude’s the Early Learning Centre (ELC) is located at St Jude's in Holder. The Catholic Education of the Archdiocese of Canberra and Goulburn oversee the centre and the Director is supported by the Principals of the two parish schools in Weston Creek. Please contact the St John Vianney's Front Office on 02 6288 2383 for any enrolment queries or contact the ELC directly, details below. We create an innovative and collaborative community where all children are encouraged to grow to their full potential. We offer a quality education in a nurturing and supportive environment, where truth and love are valued.